The American Health Council has selected Leslie Fletcher, BSN, RN, MEP-C to join the Nursing Board. She has been chosen due to her impeccable work in the field of Aesthetics. Ms. Fletcher has opened and now runs her own clinic, which primarily focuses on non-invasive treatments. Her top priority is for the patients to receive the best possible outcome in all of the procedures she has to offer. Fletcher also owns and operates an international training company, providing hands-on training for fellow practitioners, teaching them how to perform aesthetic medicine with superior outcome and expertise. 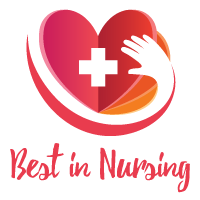 She graduated from nursing school in 1996 and later continued on to get her Bachelor’s of Science in Nursing from Western Governors University. She attributes her success to her entrepreneurial spirit and tenacity in a field that is dominated by core physicians, such as plastic surgeons and dermatologists. In total, Ms. Fletcher has spent the past eighteen years in her profession and continues proving to be an expert in her field. In order to credential herself amongst world-wide leading physicians, Fletcher had to establish an academic reputation, submitting her writings to multiple medical journals before being published, simply because she was a nurse. She now has over 20 peer-reviewed articles published and is a requested speaker and trainer internationally, teaching potentially skeptical physicians. Fletcher continued to pave her way as a global leader by developing and patenting her non-surgical face-lifting technique in 2012. ArqueDerma® Artistic Restoration Lift® is the only dermal filler technique patent in the United States. Her passion for the profession comes from a desire to combine design and medicine. Fletcher did just this when she founded the InjectAbility® Clinic, where she is the Director of Nursing. InjectAbility Clinic is known to be in the top 1% of the nation for use of Injectables. The clinic offers the latest non-invasive aesthetic treatments known in the beauty world today, executed with the highest degree of scientific and artistic excellence. Many treatments are exclusive techniques patented and trademarked by Leslie Fletcher herself. Fletcher’s day-to-day responsibilities at the clinic include treating her own patients as well as marketing, writing protocols, managing staff, and creating new techniques. 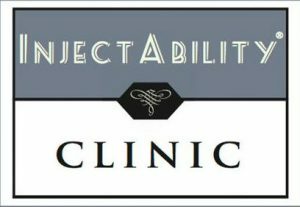 At the InjectAbility® Institute, she conducts hands-on training with other practitioners and assists in mentoring and follow-ups to ensure that patients have received the best care possible. Ms. Fletcher has shown her success in what she does through her many accomplishments and awards that she has received over the years. Some of her awards include; the MyFaceMyBody; Ultimate 100 Global Leader In Aesthetics Award in 2017, The People To People Award in 2017, Aesthetic Everything Top Nurse 2017, Women of Distinction; Woman of the Year Award in 2013, the Beauty Guru/Beauty in the Bag 2013; National Best Aesthetic Nurse Award in 2013, and the Innovator of the Year; Daily Breeze Award in 2011. She is also the author of multiple peer-reviewed international journal articles and of 15 different aesthetic courses offering CE’s to practitioners. 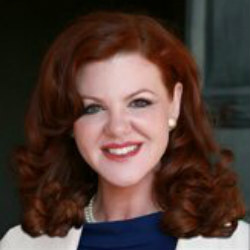 Ms. Fletcher is affiliated with many different associations such as the SPSSCS Society of Plastic Surgical Skin Care Specialists, the ISPSN International Society of Plastic Surgical Nurses, the OHE Organization of Healthcare Educators, and the AAMEP American Academy of Medical Esthetic Professionals. She also donates what she can to her local Pregnancy Health Center. In her free time, she enjoys reading, traveling with her family, video editing, researching, and publishing. In the future, Fletcher hopes to continue in her successful endeavors and allow her achievements in nursing and franchising to further grow within her own company as well as the other companies she contributes her time to. Offers the latest and most effective Non-Invasive Aesthetic treatments known in the beauty world today, executed with the highest degree of scientific and artistic excellence. Spent seven years as the founder and director of nursing and ten years as the owner of her clinic, InjectAbility. Expertise in Nursing and Non-Surgical Aesthetic Industry. Created and patented a technique and method of injecting fillers into the dermis.